The bedroom is the space that we spend the most time in. Like it or not, we need to sleep to be able to function. So why not make it your personal haven with the use of interior decorating. Good quality bedroom renovation or remodeling is a team work and requires careful planning and knowledge. This article draws upon general features of bedroom designs which help you to create a heritage look in keeping with your modern life style. The first and foremost thing to keep in consideration while choosing the flooring for your bedroom is the comfort. The right type of flooring is the one that is comfortable enough. If you will not be having much time to take care of your floors, then go for such flooring that does not require much of maintenance and is durable, like laminate and vinyl flooring. 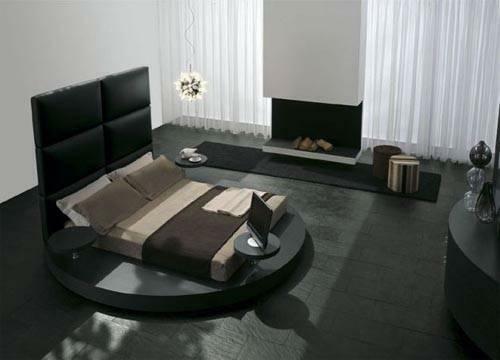 Your budget is also to be considered, while deciding on the type of flooring for you bedroom. Mostly Terrazzo flooring is laid in bed rooms. In high standard and modern houses, Ceramic tiles flooring is being laid in bedrooms. The door of a bed room should be less than 3 feet wide and 6 feet 9 inches high. It should be side hung, open on the walls, not in the middle of bedroom. The window should be fitted with glass shutters or fixed glass with minimum gap to reduce dust. In case noise level outside is more, provide double glazed window. In case the room is situated on west side, provide sun film on glasses as well as Venetian blinds to reduce heat load and glare. Mosquito proof wire gauze shutter should be provided in windows. Windows and ventilators should be provided for proper light and ventilation according to the space available in the bedroom. Bedrooms should have air and light, one or more windows and ventilators should open directly into the external air or into an open veranda with a maximum width of 2.4 meter. The height of a bedroom should not be less than 2.75 meter from floor level to the bottom of slab. The minimum clean headroom under a beam, folded plate should not be less than 2.4 meter. In case of air condition room, the height of air conditioning duct or false ceiling from floor level should not be less than 2.4 meter. 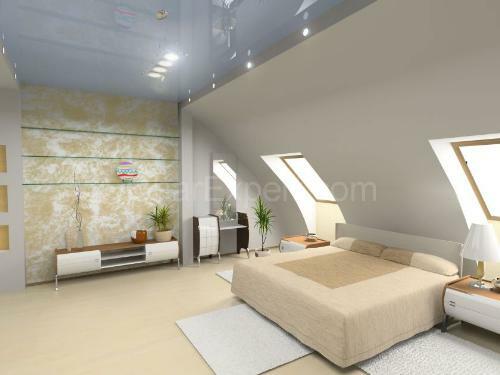 The area of bedroom should not be less than 9.5 sq. meters where there is only room with minimum width of 2.4 meter. Where there are two rooms, one of them should not be less than 9.5 sq. meters whereas the other should not be less than 7.5 sq meter with a minimum width of 2.1 meters. It’s the first thing you see when you wake up in the morning, so make sure your bedroom ceiling isn’t kept in the dark. 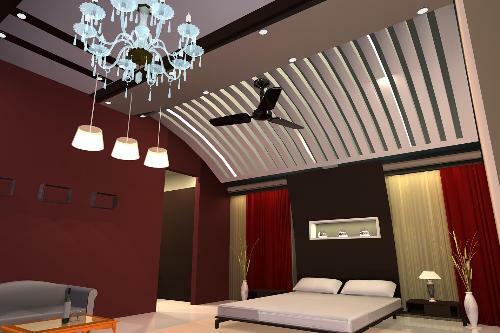 Plaster of Paris (POP) ceiling is being used for various designs in the roof of bedroom as this is the most economic ceiling and takes minimum time for completion of the task. Bedroom is used for most of the time after one returns to home from office or workplace. For cool and relaxed feel one should apply the paint of best quality. When painting your bedroom, the biggest mistake people tend to make is painting by their first color preference. So it's important to consider the other rooms in your home before deciding on a bedroom, as well as other questions. Do you have a lot of wood paneling? What are the colors of the other bedrooms? What color is the carpet? Do you have special art you'd like to hang in your bedroom? These are important to answer. In general Synthetic Enamel paints are used on wood work and on iron work. Oil Bound Distemper or Emulsion paint which is of washable nature and of the best quality can be used on the walls. 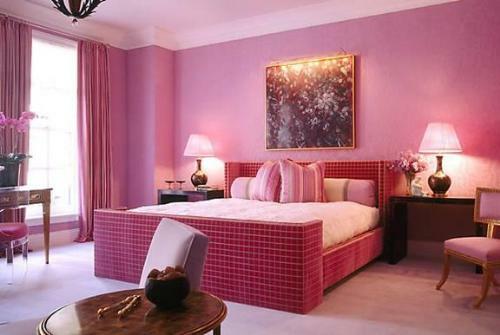 Color is crucial element in a bedroom. A gentle and relaxing shade is good at night. If the room is likely to be used all the time during the day, it should be refreshing and comfortable in natural light too. Soft blues, greens and mauves are cool and restful while pinks and yellow will add more warmth. Creamy and white are undoubtedly claiming and elegant. When used on bedroom walls, all these colors will make small room more spacious. A bedroom has advantages of feeling warmth and protective. If you want to accentuate this womb like effect, Opt for bright, rich or deep shades that surround you with more definite color. Bedroom should be located in south-west corner by providing windows on south and west walls of the room as the wind in summer flows from south-west direction. To protect bedroom from heat in afternoon from west direction, provide deep open veranda in front of the room. It will also save the room from radiated heat in the night, absorbed by the walls of rooms in day time.